As a benefit to our members, FCM works with a wide variety of corporate partners across Canada. These organizations provide a range of services and resources—some free, some at a discount—to FCM member municipalities and their employees. FCM members can login to their accounts to access member-only offers. 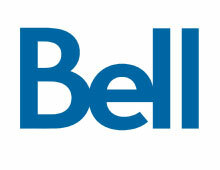 Bell is Canada's largest communications company, providing advanced broadband wireless, TV, Internet and business communication services throughout the country. Bell Media is Canada's premier multimedia company with leading assets in television, radio, out of home and digital media. Campbell Scientific Canada designs, installs, and maintains industry-leading environmental monitoring systems for municipalities. We're experts in the areas of transportation, water management, weather monitoring, and more. Our solutions are low-power and rugged, and can integrate with existing municipal infrastructure. The postal needs of Canadians are changing. Canada Post is reinventing Canada's postal system and is an e-commerce leader in more than just delivery. Canada Post is an active ingredient at work throughout the entire e-commerce ecosystem, making it stronger. Canadian Tire Jumpstart Charities is a national charity that helps in-need kids participate in organized sport and physical activity by assisting with the costs of registration, equipment and/or transportation. By engaging more than 1,900 Community Partners across every riding in the country, Jumpstart has helped more than 1.3 million kids get off the sidelines and into the game since 2005. Concrete is the foundation upon which modern, resilient societies are built. The Cement Association of Canada, its members and concrete partners are committed to innovation, leadership, transparency and collaboration to reduce our environmental footprint and provide solutions to society's sustainability challenges. For more information contact Lyse Teasdale. 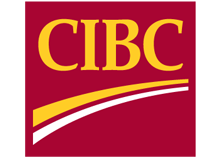 CIBC's Public Sector and Not-for-Profit Group is a specialized team dedicated to providing comprehensive financial solutions to municipalities and other not-for-profit organizations across Canada. We offer a broad range of credit, cash management, investment and other banking services. Cisco is a Global Smart City Leader helping communities to: Reduce cost; create new revenue streams; engage citizens; foster innovative and startup cultures; and reduce environmental impact. Cisco’s Kinetic for Cities platform delivers a set of tools and guidelines for creating a smart city framework designed to turn data into actionable insights to improve your city. Open API’s allow Kinetic for Cities to aggregate data from both new and legacy Smart City solutions and bring on new, exciting Ecosystem Partners as they bring value to communities. For more information contact Ron Gordon, Senior Advisor, Smart+Connected Communities or visit our website at www.cisco.com/go/kineticforcities. No More Paper Ballots - The Association of Manitoba Municipalities [AMM], Saskatchewan Association of Rural Municipalities [SARM], Rural Municipalities of Alberta [RMA], The Federation of Canadian Municipalities [FCM] Canadian Federation of Agriculture [CFA] and Canadian Chamber of Commerce have all turned to Data On The Spot for ELECTRONIC VOTING. For more information contact JP Copeland. Election Systems and Software (ES&S) has provided election equipment, software and services across Canada for over 20 years. ES&S is committed to meeting the election needs of today and tomorrow, delivering ever-improving voting solutions. Visit www.essvote.ca to learn more. For more information contact Glenn Foote, Director, Canadian Operations. FPAC provides a voice for Canada's wood, pulp, and paper producers nationally and internationally in government, trade, and environmental affairs. The $65-billion-a-year forest products industry represents 2% of Canada's GDP and provides 230,000 direct jobs. You have a choice when it comes to where you place your municipal insurance program. We invite you to choose to work with us—a real partner that has the ability to make your municipality safer, smarter and stronger. We have been successfully delivering superior insurance programs, including risk and claims management services to Canadian municipalities since 1927. The Interlocking Concrete Pavement Institute (ICPI), is the North American trade association representing the interlocking concrete paving industry. ICPI is considered the leading source of education and technical information on segmental concrete pavement systems for both design professionals and contractors. For more information contact Robert Bowers. Mitsubishi Motor Sales of Canada supplies a range of innovative electric vehicles and fuel-efficient vehicles with low emissions. Mitsubishi Motors' Best Backed cars, crossovers and compact sport utilities provide an industry-leading, long-term warranty. FCM members can initiate positive and sustainable changes in their local communities with green and practical transportation solutions from Mitsubishi Motors. Motorola Solutions is a leading provider of mission-critical communication solutions and services for enterprise and government customers. Through cutting-edge innovation and communications technology, Motorola Solutions enables its customers to be their best in the moments that matter. 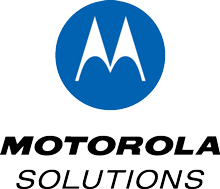 www.motorolasolutions.com. The most complete coverage of municipal news delivered daily. Since 1891, Municipal World magazine is the best source for information, news and views in the Canadian municipal forum. Published 12 times a year, Municipal World provides up-to-date information, including public-private partnerships, economic development, municipal finance, technology, and coming events. As municipalities like the City of Sarnia, City of Summerside, City of Kelowna, City of Pointe Claire, City of Edmonton and others search for additional revenues they have turned to the experts at the Partnership Group - Sponsorship Specialists® to help them with their sponsorship revenue programs. Visit http://www.partnershipgroup.ca/services/client-list/#. From the things you buy, to the goods Canada trades with the world. Canada's ports connect communities coast to coast. As Canada's largest, Port of Vancouver supports local businesses and jobs across the country. We connect Canadians to over 170 countries and facilitate the trade of approximately $500 million in goods, every day. For more information, contact Naomi Horsford, Municipal Executive Liaison. Rogers Enterprise is an innovator and leader in delivering communications services and information technology solutions to Canadian businesses of all sizes to help them improve productivity and collaboration, operate more efficiently, and reduce costs. This includes Wireless and Internet as well as technology services and solutions like Business Collaboration, Data Centre and Cloud, Cybersecurity, and Internet of Things. We help organizations lead industry disruptions and change their markets. Since connecting its first cable customer in 1971, Shaw has grown to become Canada's leading network and content experience company delivering engaging programming and content through a reliable network experience. Our suite of communications solutions includes access to Shaw Go WiFi, Canada's largest WiFi network available at more than 45,000 locations in Western Canada. 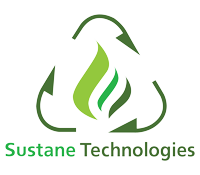 Sustane Technologies is a clean-tech company based in Halifax Nova Scotia. Sustane has developed a disruptive technology that diverts municipal solid waste ("MSW") from landfills and safely converts the recycled MSW into clean energy and other recycled products. TELUS is Canada's fastest-growing national telecommunications company and provides a wide range of communications products and services, including wireless, data, Internet protocol (IP), voice, television, entertainment and video, and is Canada's largest healthcare IT provider. Tree Canada is the non-profit organization dedicated to improving the lives of Canadians by planting and nurturing trees. To date, with CN and our community partners and sponsors, we have restored areas hit by natural disasters, guided communities in managing their urban forests, greened 660 schoolyards and organized annual urban forest conferences and planted more than 82 million trees. Our corporate partnerships promote innovative solutions across Canada. We work with a wide range of organizations that offer products, services and resources to municipalities of all sizes. As a corporate partner, you’ll get increased visibility with a wide and diverse selection of municipalities across Canada.